Last month we saw serial asbestos dumper Dib Hanna jailed after a slew of offences relating to the illegal transport and dumping of asbestos. The gravity of the punishment – which includes Hanna having to pay for print advertisements that describe his crimes – not only suited the long list of crimes but served to act as a serious warning to anyone considering similarly reckless and dangerous behaviour. Hopefully it will ultimately act as a deterrent, but this week’s headlines show that there are still people out there prepared to dice with the health of the community and the environment by illegally dumping asbestos. Given the extensive coverage and campaigning around asbestos safety over the last couple of decades, there are few excuses for renovators – residential or commercial – to not know that asbestos removal is a responsibility to be taken seriously. To flout the regulations is not only to put yourself and your community at risk but can result in criminal prosecution. Now that’s probably enough finger wagging for the moment. Here’s a recap on some of the stuff you need to keep in mind if you’re a would-be renovator and have decided to give your home The Block treatment. 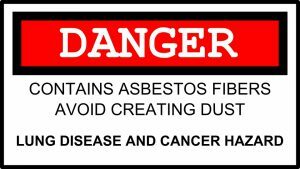 There are two types of asbestos that you need to be aware of: Friable and non-friable asbestos. Best not to mess with either until you’ve consulted a licenced assessor. And if you’re not sure if asbestos is present at all, assume it is until you can be told otherwise by an expert. You won’t always be able to tell just by looking at something if it contains asbestos and asbestos can be found in a whole lot of unexpected places in houses. Get a licenced assessor to come and check it properly for you before you decide on your next move. If you are just sealing or painting asbestos cement surfaces, then you can do this yourself – so long as you follow the right safety precautions. E.g. make sure your work space is ventilated at all times. If you are undertaking any work that involves sanding, drilling, cutting etc then put your tools down and find yourself a licenced expert. That is the kind of work that will release asbestos fibres into the air and requires specialist attention. Even scraping, scrubbing and hosing can be dangerous. 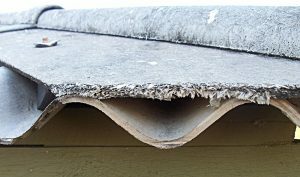 In some states, including NSW, you can remove up to 10sqm of bonded asbestos as long as the strict guidelines around packaging and removal are followed. Anything more than that, and it’s time to hire a qualified asbestos removalist or get yourself trained and certified. Make sure that any asbestos assessors or removalists you use are licenced. You can check your state or territory WorkSafe site to see whether their licence is current. You don’t have to take their word for it – make sure you ask to see their documentation and follow it up with the regulators. A new register will be put in place this year that shows whether a removalist had received any penalties. If someone is offering a cash-only removal service, then steer clear of them. Asbestos removal is a highly regulated activity and those doing it properly will do it by the book. Remember what is at stake: workers exposed to asbestos during mining and product manufacturing were previously the main groups affected by mesothelioma. Since 2014, claims due to renovations have outstripped other causes, exceeding expectations and causing KPMG to raise its claim projections. Don’t be part of the third wave. Get trained or get an expert today.